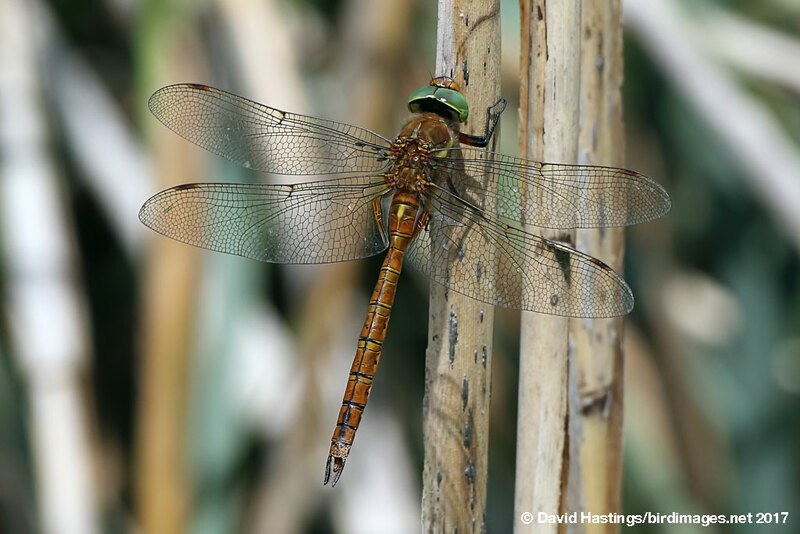 Norfolk Hawker (Aeshna isoceles). Male. Taken at Plitvice Lakes National Park, Croatia, on June 6th 2017. Approx 2.25x lifesize. Male. Taken at Plitvice Lakes National Park, Croatia, on June 6th 2017. 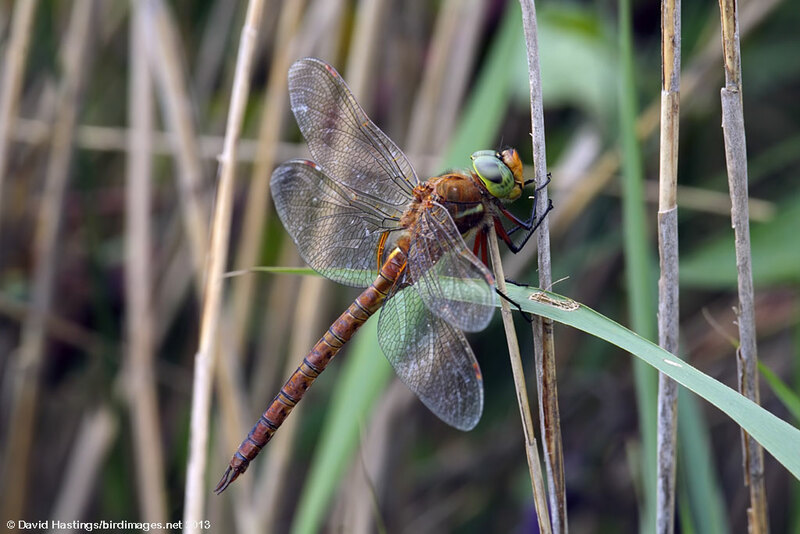 Norfolk Hawker (Aeshna isoceles). Male side view. Taken at Hickling Broad, Norfolk on June 26th 2013. Approx 2.25x lifesize. Male side view. Taken at Hickling Broad, Norfolk on June 26th 2013. 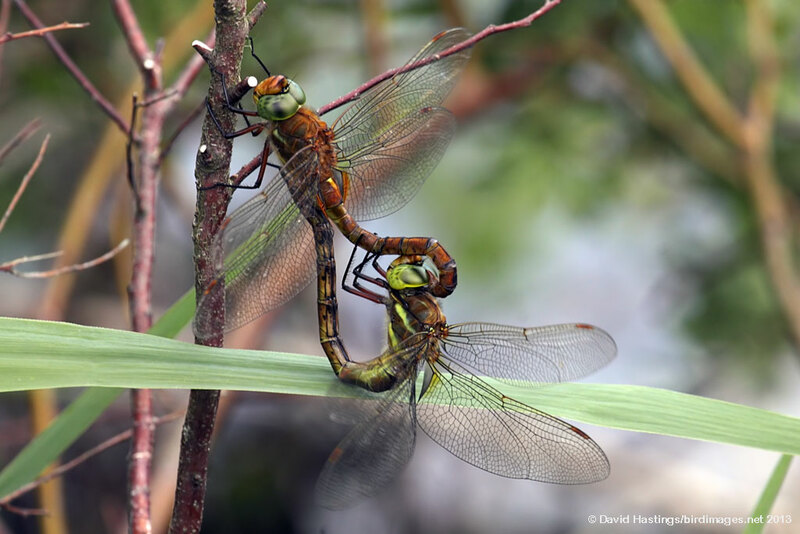 Norfolk Hawker mating wheel (Aeshna isoceles). Mating wheel. Taken at Catfield Fen, Norfolk on June 25th 2013. Approx 1.5x lifesize. Mating wheel. Taken at Catfield Fen, Norfolk on June 25th 2013. A large brown hawker that flies early in the season. The sexes are similar, having brown abdomens with a distinctive yellow triangle on S2, green eyes, clear wings and amber pterostigma. In Britain this species is largely restricted to the Norfolk Broads. It is fairly widely distributed in western and central Europe, but is generally local. Typical habitat is grazing marshes and fens with clear water and stable water levels, usually with at least 70% cover of Water-soldier. Eggs are laid into living Water-soldier plants. They hatch after 3-4 weeks and the larvae develop over two years. Males patrol low over grazing-marsh ditches, often clashing and chasing each other (and other species). This a Red data list species and a licence is required to handle it.